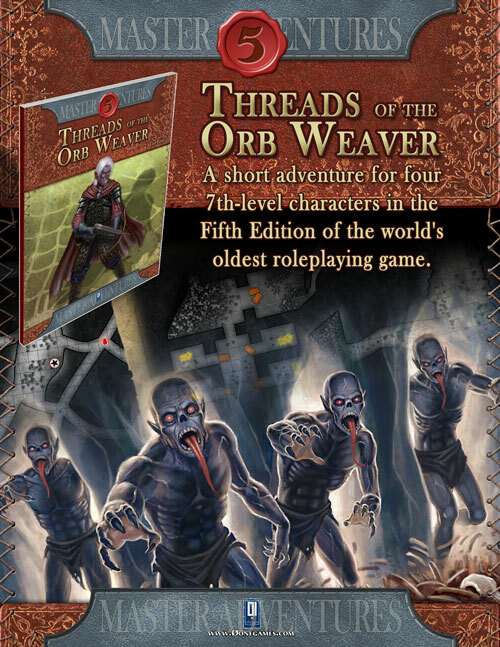 The events of Threads of the Orb Weaver occur at the Ruins of Spiderhaunt Manor. In the Eerie Forest, the ruins lie at the end of a path branching off from the Road of the Two Fangs. The path runs through an area of wooded rough terrain, along a ridge furrowed with dry crevices. Looming over one of these cracks in the rock, the abandoned remains of what once was the sequestered house of a mad cleric-scientist named Araknos were recently flattened by an earthquake. GMs are encouraged to place the manor in any forest convenient for their campaign. 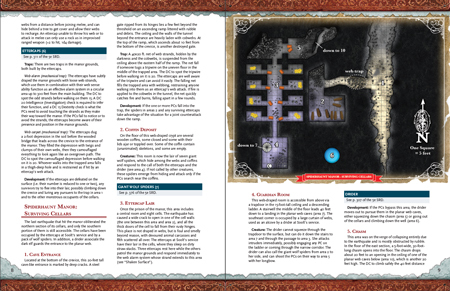 This adventure is designed for four 7th-level characters in the Fifth Edition of the world’s oldest roleplaying game. ed series of advent ..